The 2015 Subaru XV Crosstrek displays incredible on- and off-road performance. It comes with standard all-wheel drive and offers excellent versatility, which makes it a great car for off-road expeditions. In addition to containing an adventurous spirit, the Crosstrek also sports a variety of amenities that appeal to modern buyers. New components such as a seven-inch touchscreen, rearview camera and keyless entry are available on the model this year, adding a bit of luxury to the CUV lineup. For more details about these features and others, check out our 2015 Subaru XV Crosstrek review below. The biggest change to the 2015 Subaru XV Crosstrek in Kansas City this year is the addition of an all-new base trim level. It comes equipped with standard rear privacy glass, Bluetooth connectivity, a rearview camera, roof rails and a 6.2-inch touchscreen display, to name a few. On top of this modification, the Crosstrek is also now available with Subaru's EyeSight safety package, which feature lane departure warning, adaptive cruise control and a forward collision system that comes with automatic braking. The Limited trim also gains keyless entry and ignition, which helps deliver a premium driving experience. The only engine offered on the 2015 Subaru XV Crosstrek in Kansas City is a 2.0L boxer four-cylinder engine. The variant produces 148 horsepower and 145 lb.-ft. of torque, providing optimal performance. The 2.0i and 2.0i Premium come standard with a five-speed manual transmission, while the Limited is standard with a continuously variable transmission. A hybrid Crosstrek is also available and features the same engine; however, the output increases to 160 horsepower and 163 lb.-ft. of torque, which is supported by an electric motor. The hybrid also produces an EPA-estimated 31 mpg combined, making it the most fuel-efficient model in the lineup. To acquire more info about the 2015 Crosstrek CUV and its offering, keep reading our Subaru Crosstrek review for exclusive details. When you compare Subaru's new 2015 XV Crosstrek side-by-side with the 2015 Mitsubishi Outlander, Jeep Compass and the Mini Cooper Countryman, we're sure you'll discover that the XV Crosstrek is the right fit for you. Just a few of the attributes that shoppers in MO will be thankful for are the XV Crosstrek's eye-catching exterior styling and cut-rate pricing. It's a fabulous value. Just compare its price to the aforementioned vehicles and you'll surely see why so many Kansas City drivers love it. 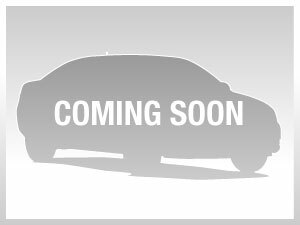 Scan our bullets for more details about its vehicle specs! The Subaru XV Crosstrek review above, along with overviews of former models and other 2015 Subarus, will help make finding your next car a breeze. With the aid of some of the best automotive writers in the field, we've managed to get reviews produced for all of our models. To make sound decisions when it comes to your next Subaru purchase, don't guess! Each passage is filled with information, including info about vehicle features, in an easy-to-understand page layout. Discover more about Van Subaru's attractive lineup! 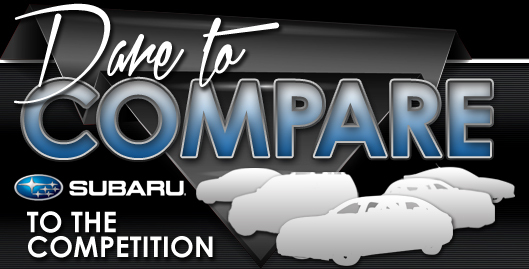 Review and compare Subarus other vehicles in our digital research index page now!